Provide comfort for the family of Margaret Younkin with a meaningful gesture of sympathy. Margaret Rose “Peggy” (Guggi) Younkin, age 81, entered into rest peacefully with her family by her side on Thursday, January 24, 2019. Peggy was an avid quilter and enjoyed attending and participating in quilt and craft shows and shopping for new fabrics with her friends. As she loved anything and everything feline, Peggy always had cats as pets and left behind “Little One,” that is now lounging comfortably with family. Peggy took pride in making her pizzelles and Italian holiday cookies and especially enjoyed the sights and sounds of the Christmas season. Peggy is survived by her sister and brother-in-law, Virginia and David Saur, Canandaigua, daughters, Denice Townsend, Rome, and Debbie and Keith Atlas, Ballston Spa, and a son, Dan and Audrey (Zakala) Younkin, Rome; grandchildren, Christopher Weil, Jessica Weil, Jonathan Townsend, Katie Townsend, Doug (Ashlee) McLoughlin, and Kari (Justin) George, 6 great grandchildren; 2 nephews and a niece, their spouses, and 9 great nieces and nephews. She was predeceased by her daughter, Donna Younkin Matinchek. The family wishes to thank the staff at Faxton St. Luke’s Healthcare, Utica, and Betsy Ross Nursing and Rehabilitation Center, Rome, for the excellent care their Mom received. The funeral service will be held Wednesday at 6:00 PM, at the Barry Funeral Home, 807 West Chestnut Street. Relatives and friends may call at the funeral home on Wednesday from 4 to 6 PM, prior to the funeral service. 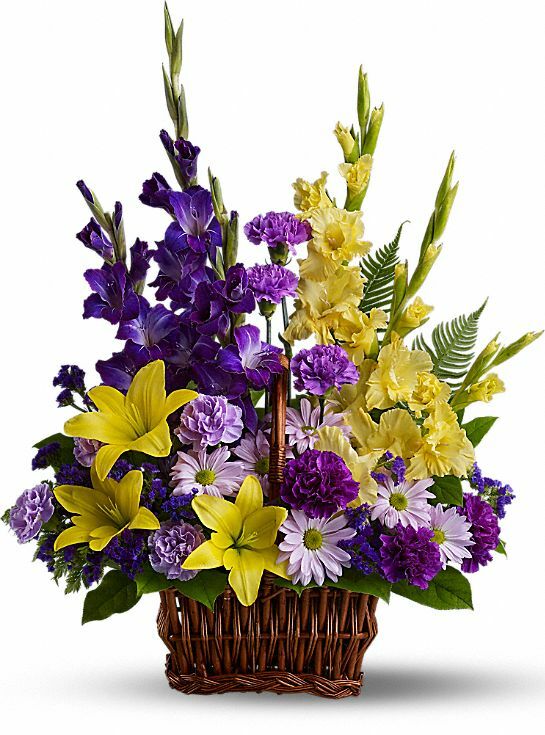 To send flowers in memory of Margaret "Peggy" Younkin (Guggi), please visit our Heartfelt Sympathies Store. Debbie's Seton Health work family sent flowers to the family of Margaret "Peggy" Younkin (Guggi). I was saddened to learn of Peggy's passing. We worked together at Rome City Hall 'back in the day', and I remember Peggy as a sweet and kind person. Sending her family and loved ones my most sincere sympathy. May she rest in peace. For Grandma Peggy, may your spirit live on. Debbie's Seton Health work family purchased flowers for the family of Margaret Younkin.